Abstract: We are surrounded by the hi-tech products and they are not complicated toys for a few, but easy to operate aiming to let more characters benefit from the results of scientific and technological advancement. Bearing this in mind, Airwheel H3S smart chair was born to facilitate the old's daily travel. Often retirees are called upon to care for grandchildren and occasionally aged parents. For many it gives them more time to devote to a hobby or sport such as golf or sailing. On the other hand, many retirees feel restless and suffer from depression as a result of their new situation. If they have the chance to travel and go out frequently, they will make new friends and lead a happier later life. Then, the Airwheel H3S power chair is a great assistant. Although it is not scientifically possible to directly show that retirement either causes or contributes to depression, the newly retired are one of the most vulnerable societal groups when it comes to depression most likely due to confluence of increasing age and deteriorating health status. 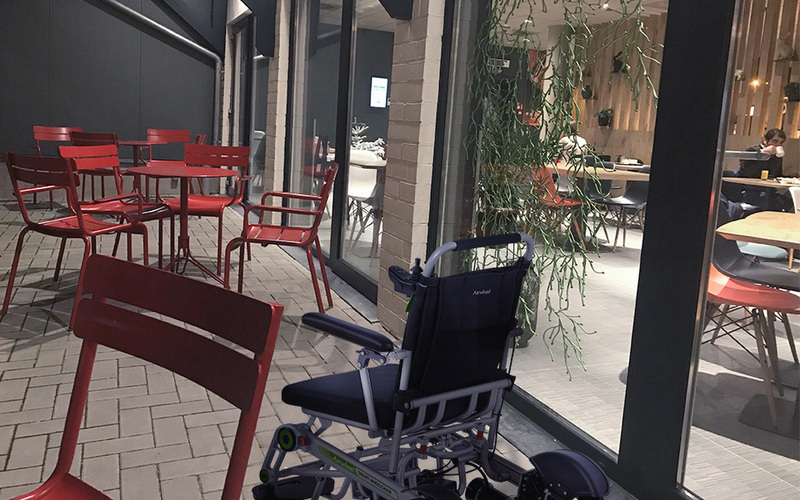 Airwheel H3S lightweight folding power chair installs smart joystick controller. Thus, H3S is super easy to ride, by pushing the controller forward, backward, left or right. The old can sit on the saddle and go. The more they ride, the less they feel depressed. It is worth mentioning that the adjustable footrest meets riders with different heights to find the most comfortable riding state. 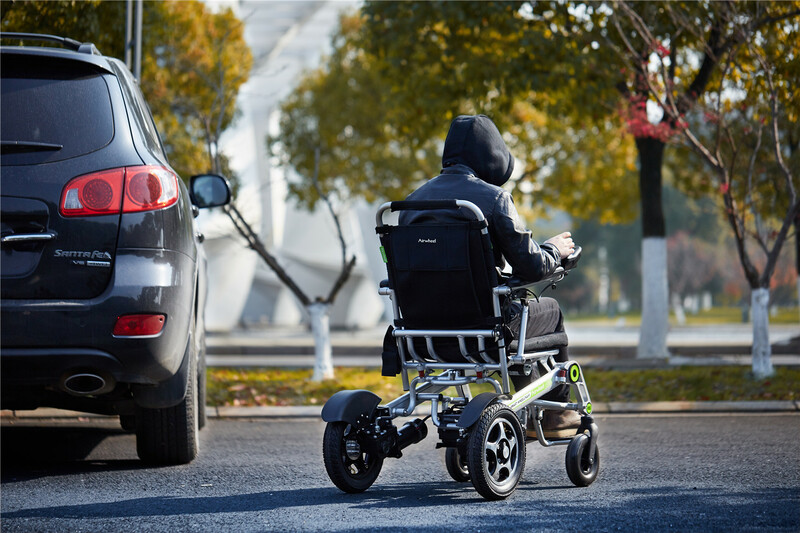 Another feature of H3S power and manual wheelchair is its dual ride modes, referring to that it has electric mode and manual mode. Riders can enjoy others' company in the manual mode and they can also enjoy a free intelligent travel in the electric mode. Airwheel H3S is powerful enough and strong enough to conquer various road conditions by installing DC brush motor and Omni-directional wheels. Importantly, H3S smart chair can be controlled remotely via the mobile app. Also the automatic folding function makes it easy to store. Retirement coincides with deterioration of one's health that correlates with increasing age and this likely plays a major role in increased rates of depression in retirees. The more scientific and humanized Airwheel H3S smart chair leads a new fashions concept for the retirees.